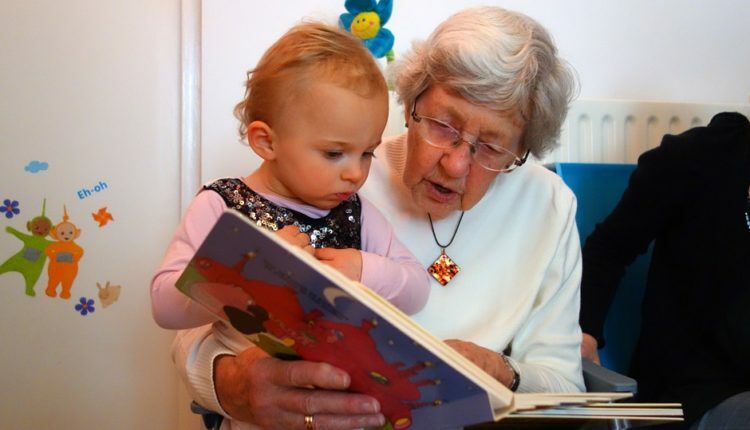 Grandparents adapt to change and changing by looking and thinking with an open mind. My granddaughter starts using a computer at the age of two. My six-year-old grandson asks my husband what a “f***ing bit**” is. My divorced son lives with his girlfriend and her daughter. They have his two children on alternate week-ends. My unmarried daughter talks of wanting a child but having no use for a husband. My grandmother or grandfather would not be able to handle this much change. Sometimes, I wonder about me, too. We are grandparents in a changing world, one that is changing so fast that we will be left behind unless we make a conscious effort to learn, adapt, become open-minded, and reduce the shock-factor by changing. We have to make an effort to know where this generation is coming from in order to give them the best of our love and understanding. How can we do this? I doubt if I’ll spend too many days attending concerts or learning rap-speak. I am not likely to visit what I consider the fringe of today, but I can read about them and their views with an open mind. I don’t comment on my grandson’s haircut or the unusual diet of my granddaughter. I find something pleasant to say about my granddaughter’s attire or I keep quiet. And I keep reading, to open my mind. You know, the funny thing is, as I open my mind to their world, I find I am an ever-changing grandmother, rather than one who is set in her ways: the ways of a bygone day. Instead of atrophying, I am growing. Instead of shutting my ears to new music, I can learn to appreciate it by listening to it for several months. If we refuse to make concessions to the new ways of the world, we might lose touch with the children and grandchildren we love. Actually, one way to feel young is to welcome new ideas and adventures, as strange as they may seem at first. I know my grandparents could handle this much change. They went from the small town to the large metropolis, from horse and buggies to autos to space ships to the moon and beyond, from women as the property of their husbands to women’s suffrage to women’s lib, from birth control by self-control to pills to abortion. Maybe they did not always agree, but they were never stuffy about or seemingly appalled by the changes. By George, if they could change that much, I can handle it! But I still prefer the cuss words of my generation. At least my hair doesn’t stand on end.